A traveler going to Goa from Belgaum finds himself/herself in utter chaos finding the correct way to Chorla, and thanks to the signboards put up by the National Highway authorities, in some case which help the traveler to navigate properly, Flex boards have been placed over such boards at crucial turns which is a great hindrance to the travelers. Most of the signage erected by the NHAI to guide commuters to their destinations have been completely covered by flex banners and hoardings. 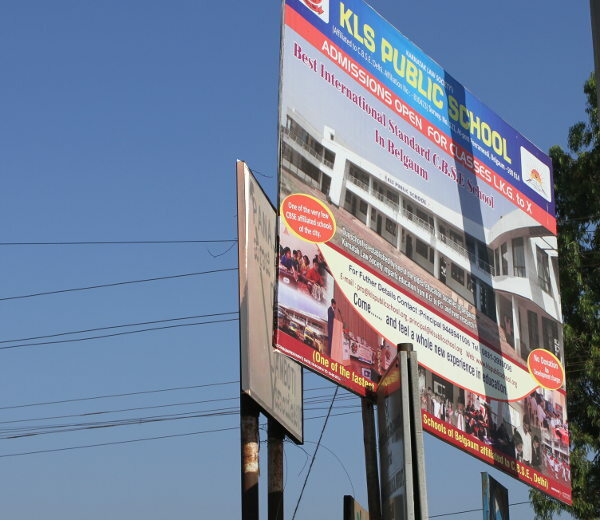 Look at this example at Peeranwadi Cross, which is the crucial cross to divert to the Chorla route, a school’s flex board is placed on the direction signage. From the Other angle: board is visible but the Flex board blocks the entire view. If a traveler misses this cross he ends up going ahead and then has to come back to the cross. 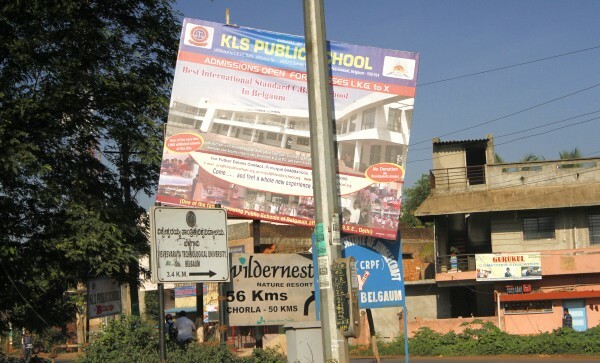 The tsunami of posters and banners violate national highway rules and also block and distract drivers’ views besides camouflaging road signs at several places, thereby increasing the chances of accidents. There are no legal provisions to install hoardings or banners on highways. Though we dismantle them regularly, new posters are re-installed in no time.